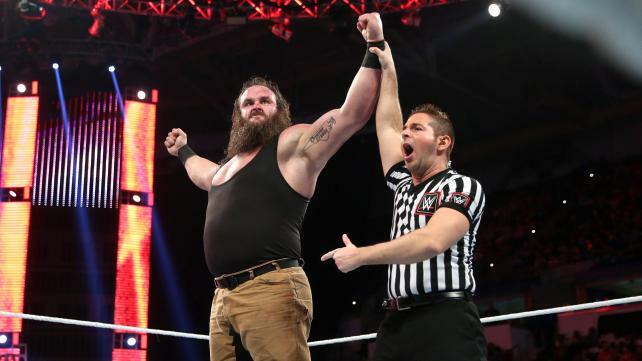 You can make the argument that this has been the biggest week of Braun Strowman’s career. You can also argue it’s been his worst in quite some time. From a creative standpoint, at least. 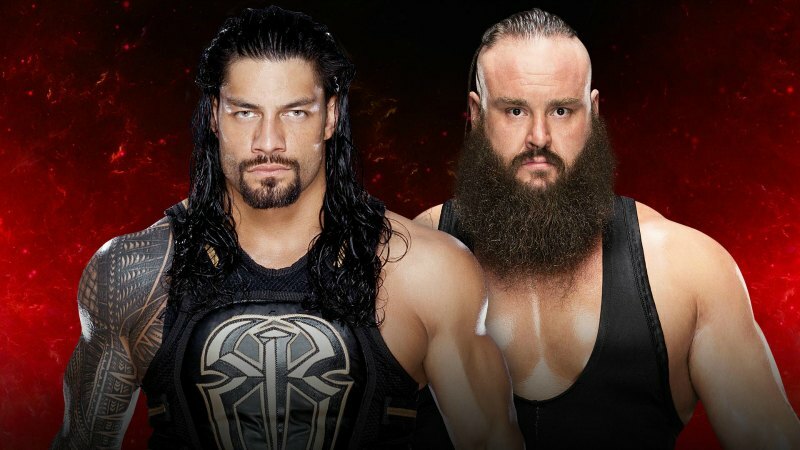 At Fastlane, Strowman dropped his first pinball loss to Roman Reigns. A needless loss, in my opinion. After Roman threw Undertaker out of the Royal Rumble Match, it was pretty apparent they were going to work together at Wrestlemania. Especially when Reigns said something to the effect of, “It’s my yard now.” That was all the impetus ‘Taker needed to show up at Fastlane and either cost Roman the match, or bring it to a DQ finish. Strowman did not need to lose clean. But what happened on Monday was even worse. Strowman calls out Reigns, and gets the Undertaker instead. 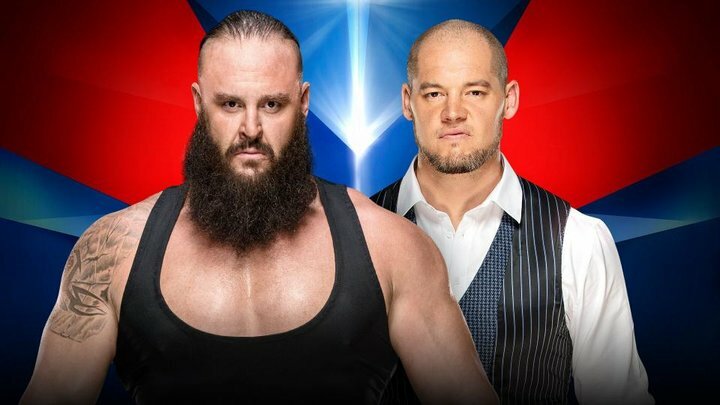 When the two come face to face, Strowman backs down. The big man’s been calling for competition for months now. But when he’s confronted by an icon like Undertaker, he cowers? BS. 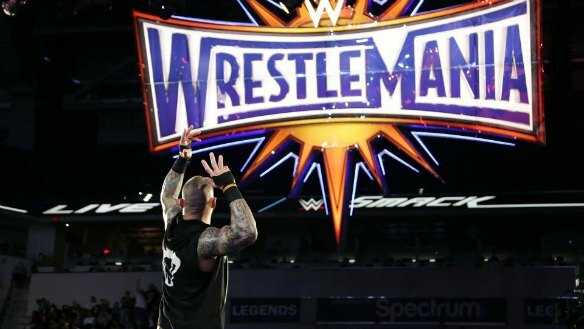 So with less than a month left until Wrestlemania, what do you do with Strowman? There’s no obvious opponent for him, unless they want to do another match with the Big Show. Rumor has it Shaquille O’Neal has backed out of the match that was reportedly in the works for months. So another giant vs. giant match is something they could try. Show and Strowman definitely overachieved when they main evented Raw. But I think it’s more likely Strowman winds up in the Andre the Giant Memorial Battle Royal. And if that’s the case, he needs to win it. They’ve branded Strowman as a destroyer. So to rebound from what happened this week, he needs to destroy. Have him chuck out a bunch of smaller guys, and then eliminate a couple of bigger names. Kane and Big Show come to mind immediately. But you’ve also got guys like Dolph Ziggler, Rusev, and Luke Harper. These guys are all players, but it doesn’t look like they’re getting a featured match. They could even have the New Day present Braun with the big trophy, and have him lay them out. 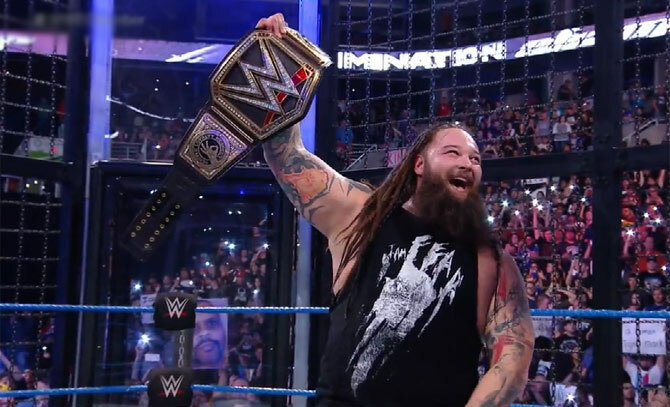 I understand that Strowman couldn’t be undefeated forever. But now that he’s taken this step backward, he needs to take two steps forward. John Cena and Nikki Bella def. James Ellsworth and Carmella. Miz and Maryse ambush John and Nikki after the match. Toward the end of the match, our heroes hit Five Knuckle Shuffles in stereo. I can’t say I’m looking forward to Nikki adding that move to her arsenal. “When you have true love, you don’t make her sign a contract to be your girlfriend.” That was a good line. I liked this whole “Our love is real, theirs isn’t” approach from Miz much better than what we got last week. 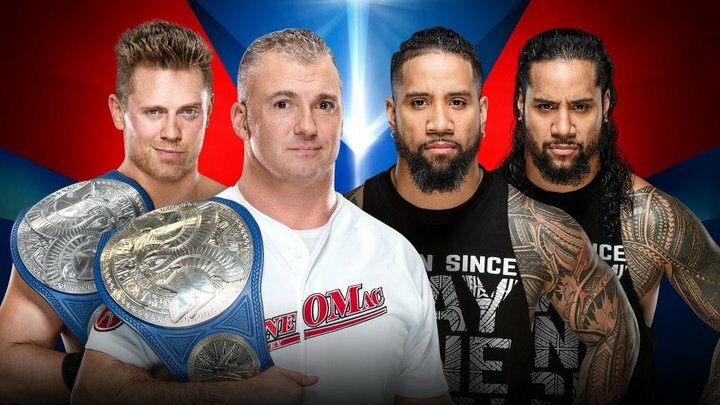 While so much of what he said in that Miz TV segment seemed regurgitated from old feuds, this is something they haven’t done with Cena before. The stuff about his relationship with Nikki being fake and plastic strikes an intriguing chord. 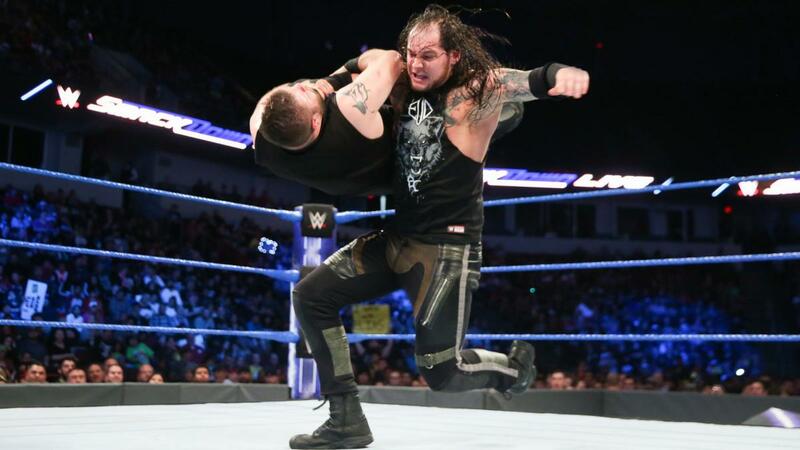 After laying out Curt Hawkins again, Dean Ambrose calls out Baron Corbin. Later, Corbin takes out Ambrose with a pipe, and then traps him under a forklift. See, they call Baron Corbin the “Lone Wolf.” And he’s wearing a shirt with a wolf on it. Get it? Isn’t that cute? Mojo Rawley announced for Andre the Giant Memorial Battle Royal, has a brief confrontation with Dolph Ziggler. So we’ve pretty much established what heel Dolph Ziggler’s role is on Smackdown. He’s the ring general that works with newer undercard babyfaces like Apollo Crews, Kalisto, and now Mojo Rawley. He’s likely in the Andre Battle Royal at Wrestlemania this year. I really think it’s time. If Dolph Ziggler still wants to be a top guy, he needs to go the way of Drew Galloway, Cody Rhodes, and Alberto El Patron. 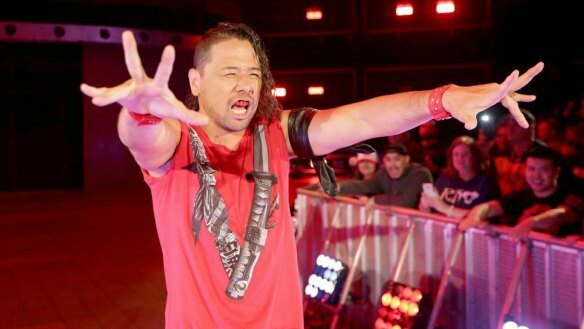 He needs to get out of that company, climb some new mountains (New Japan Pro Wrestling comes to mind), and then potentially come back later for a fresh start. Dolph Ziggler is such a damn workhorse, and he’s as talented and charismatic as anybody they’ve got. But he’s stuck in midcard hell. He could potentially become the hottest free agent in wrestling, and still do his stand-up comedy on the side if that’s what he wants. At this point, here are more opportunities for him outside of the WWE bubble than inside. Alexa Bliss delivers her “Blissertation.” Becky Lynch and Natalya come out, each looking for a title match. Daniel Bryan announces Bliss will defend against every available woman on the Smackdown roster at Wrestlemania. Crowd seemed dead during Alexa’s portion of this. She’s really good on the mic, but there can be a disconnect between her and the live crowds sometimes. 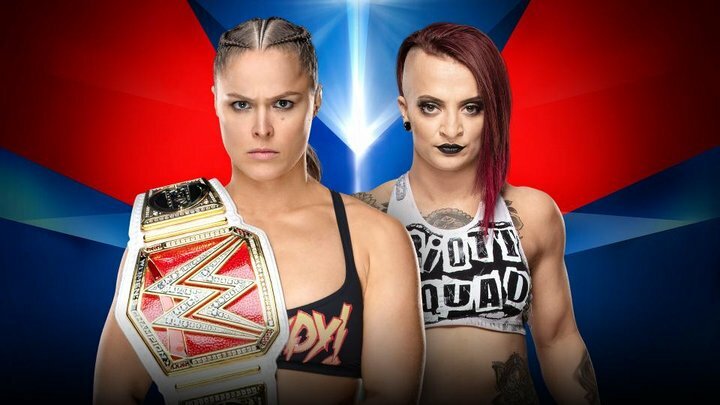 This match seems destined for the pre-show, much like the big women’s tag match last year. So who’ve we got for this one? Obviously there’s Alexa Bliss, Mickie James, Becky Lynch, and Natalya. Carmella is around. The only other name I can think of is Eva Marie, unless they want to bring someone up from NXT at Wrestlemania. Alexa Bliss and Mickie James def. Becky Lynch and Natalya. Natalya turns on Becky to cost her team the match. Mickie turns on Alexa after the champion steals the pin from her. Does this constitute a babyface turn for Mickie James? If they wanted a feel-good moment for longtime fans, they could have her win the belt at Wrestlemania. She’s certainly as capable as she’s ever been. Just a thought. Randy Orton def. AJ Styles to secure his WWE Championship Match at Wrestlemania. Styles yells at Shane McMahon after the match. Loved the line: “Randy Orton burns down a man’s house and gets rewarded for it.” Hey, it’s essentially true. No Bray Wyatt on this show, which I can appreciate. Last week was a big moment for his character. It’s wise to let things breathe a little bit. A slower and more methodical match, which is Orton’s usual M.O. Not the most thrilling watch, but still pretty good. I was waiting for the big counter into the RKO, and I loved how they faked us out with that Phenomenal Forearm spot. I imagine they’ll save that for a pay per view match. Even if it’s not a singles bout, these two are bound to mix it up at a big show someday. If you caught Talking Smack, you saw footage of Styles confronting Shane backstage. It was, of all people, Road Dogg who got between them. Michael Hayes had a cool cameo as well. On Talking Smack, Miz also got to rebut John Cena’s scathing promo from last week. He talked about how Cena stole his last t-shirt design from a beer company, and how he stole his girlfriend from Dolph Ziggler. Why couldn’t that have been on TV? 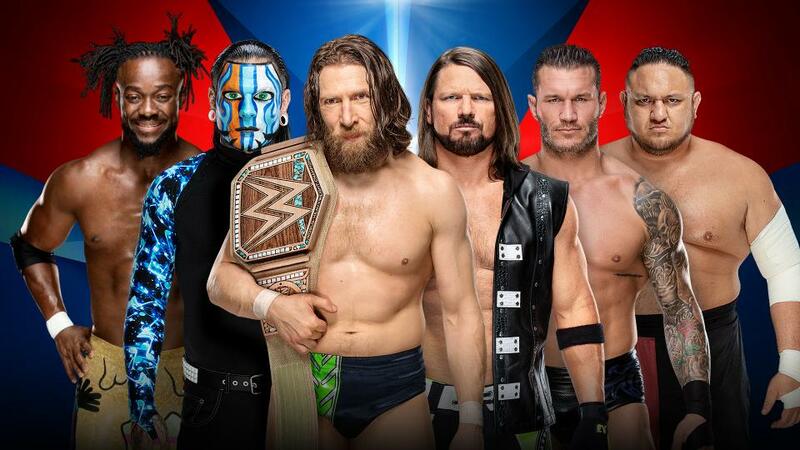 This entry was posted in Wrestling and tagged #SDLive, AJ Styles, Alexa Bliss, Andre the Giant Memorial Battle Royal, Becky Lynch, Braun Strowman, Bray Wyatt, Dolph Ziggler, Mickie James, Natalya (WWE), Randy Orton, Rob Siebert, Roman Reigns, Shane McMahon, The Undertaker, Wrestlemania, Wrestlemania 33, Wrestlemania XXXIII, WWE Fastlane, WWE Fastlane 2017, WWE Fastlane results, WWE Smackdown, WWE Smackdown Live, WWE Smackdown Results on 03/08/2017 by primaryignition. WWE Fastlane wasn’t a great show. But it gave us a couple of surprises, both positive and negative. The biggest one, for my money, was Bayley retaining the Raw Women’s Title and ending Charlotte’s pay per view undefeated streak. I’ve said before that I wouldn’t have given the belt to Bayley when they did. But as that die had already been cast, I think they made the right move here. After all he back and forth switches they did with Charlotte and Sasha, it seemed pretty obvious history was going to repeat itself. But they defied expectations, and added even more fuel for what seems like the inevitable Sasha Banks heel turn. Now you can once again call one of Bayley’s wins over Charlotte into question because of Sasha. What’s more, Bayley has done what Sasha could never do: Beat Charlotte on pay per view. This has turned out to be some really good storytelling. Bravo, WWE. 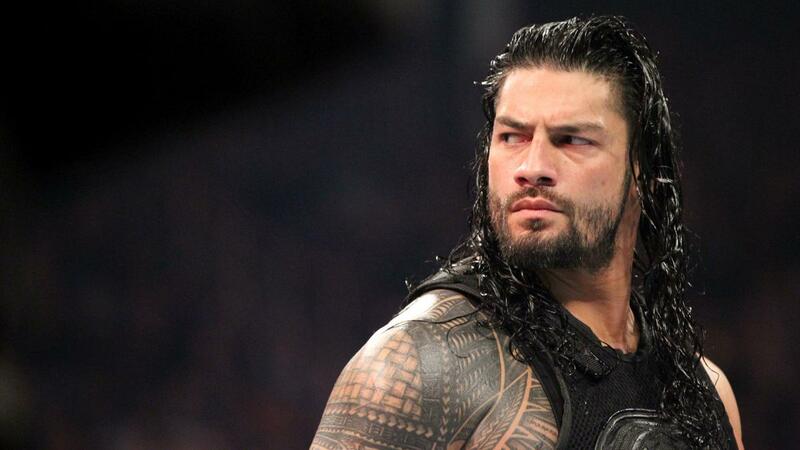 Less pleasant a surprise was the decision to have Roman Reigns beat Braun Strowman clean. Granted, it was the “chosen one” who beat him, and they did put on a really good match. But this all felt very anticlimactic. The establishment of Strowman as this unstoppable monster has become one of the better parts of Raw. I understand keeping Roman strong for Wrestlemania. But at the expense of Strowman? It seems like a waste. Mind you, Strowman won’t be killed by one loss. But this was needless. The big man could have gone undefeated for several more months. Then there’s Goldberg. 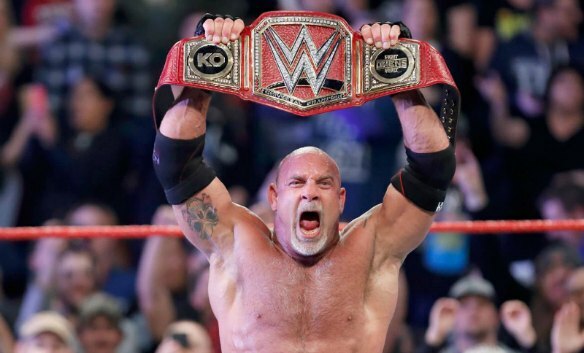 The 50-year-old former WCW star won his first Heavyweight Title in over a decade, beating Kevin Owens in about two minutes. It was fine for what it was. We knew these two weren’t having a long match. Loved Owens “taking a powder” before the bell even rang. He milked it wonderfully. And how ironic is it that Goldberg’s old rival Chris Jericho is the one to come out, cause the distraction, and allow him to score the pin. I saw many a fan on Twitter whining about Kevin Owens having to drop the belt. To that I say boo hoo. He lost the belt to one of the biggest stars the business has ever seen. 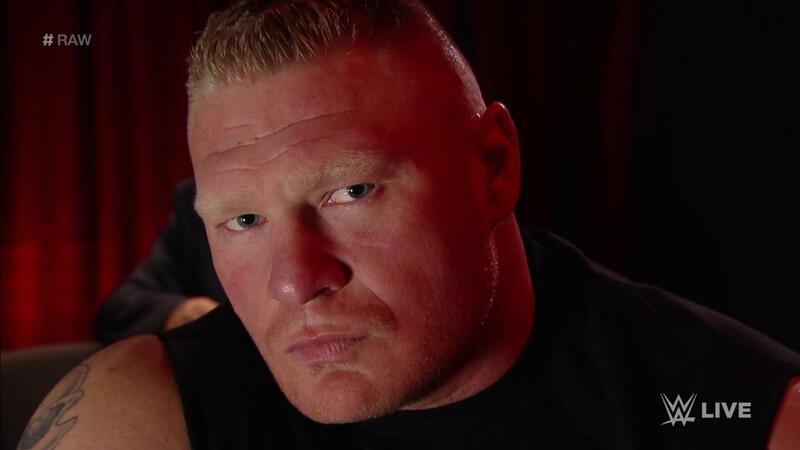 If a squash like that is good enough for Brock Lesnar, it’s good enough for Kevin Owens. The guy will be fine, kids. Calm down. Chris Jericho calls out Kevin Owens. 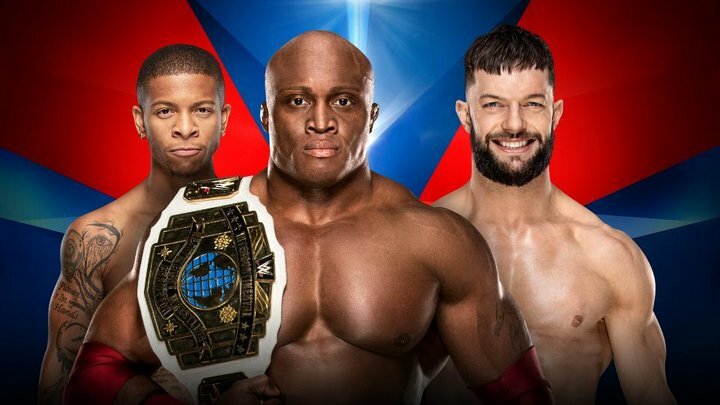 US Title Match between the two announced for Wrestlemania. Owens and Samoa Joe attack Jericho. Sami Zayn makes the save. Owens beat Zayn in an impromptu match. This Owens/Jericho match fell nicely into place, didn’t it? No wasted time here. 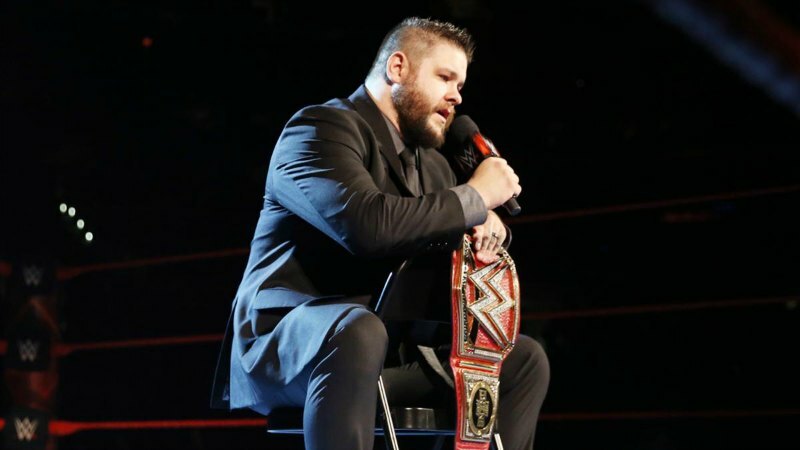 This seems to be the start of an alliance between Kevin Owens and Samoa Joe, with Triple H being the common factor. They’d make an interesting tag team for sure. 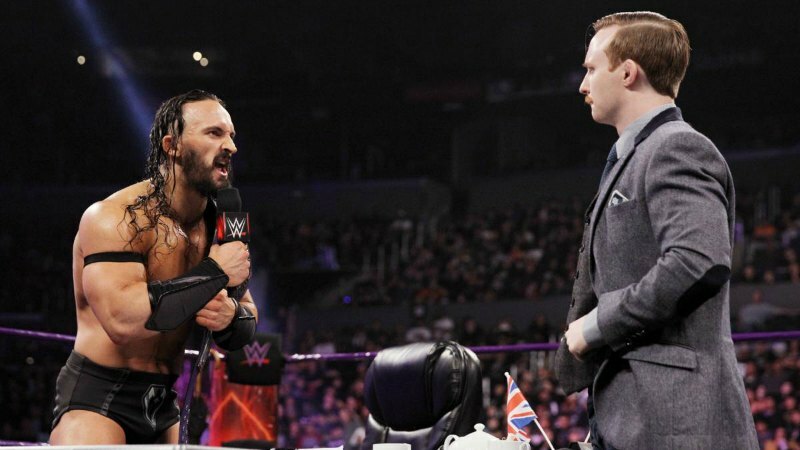 Neville def. Rich Swann to retain the WWE Cruiserweight Title. Austin Aries decks Neville after the champion disrespects him. Gorgeous attempt at a Phoenix Splash by Rich Swann. One of the best athletes on the entire roster. Neville vs. Austin Aries. Now there’s a Wrestlemania match. 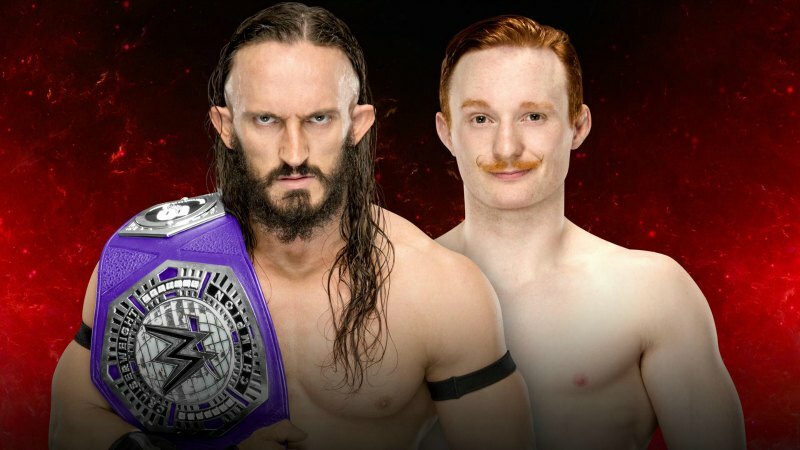 I wouldn’t rule out a multi-man title match though. We all know how they love to shove everybody on the Wrestlemania card. Brock Lesnar and Paul Heyman interrupt Goldberg’s return to Raw as champion. Lesnar hits an F5 on Goldberg. I don’t have as much of an issue with those CM Punk chants as some people do. Especially in Chicago. But at certain points it’s cringeworthy. As much as I love Punk, had I been at this show I would not have been chanting his name at Goldberg. Not the time for that. 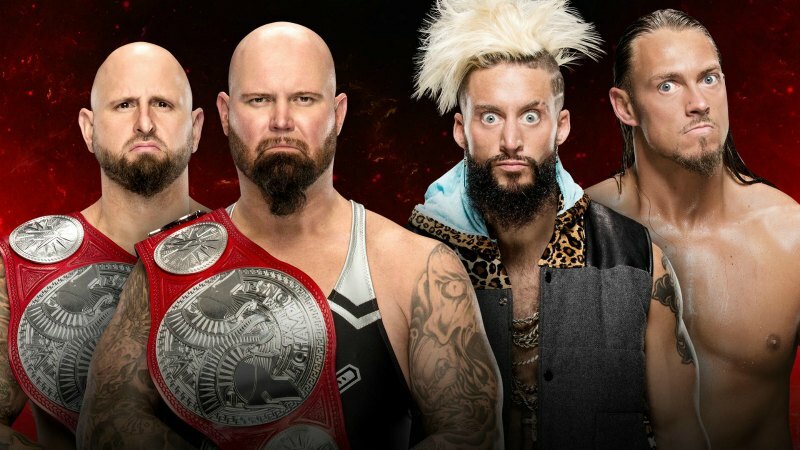 Luke Gallows and Karl Anderson def. Enzo and Cass via disqualification in a WWE Raw Tag Team Title Match when Sheamus and Cesaro interfere. 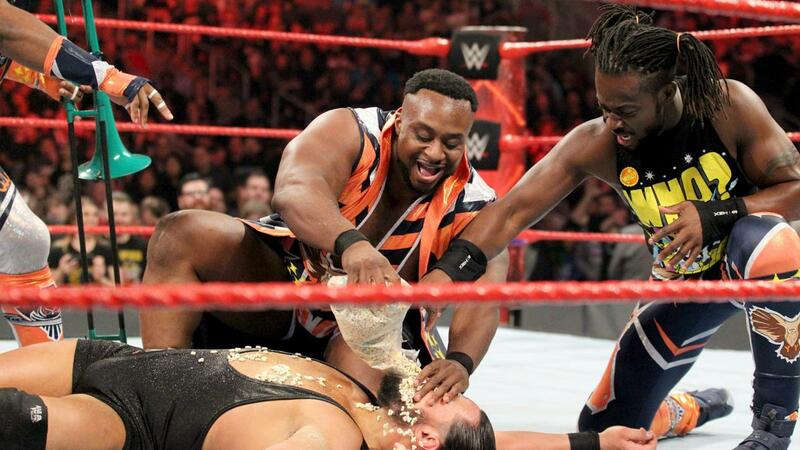 Looks like we’ve got a Triple-Threat Tag Team Match coming our way. Not necessarily the recipe for a classic. But we got a pretty good one between Kurt Angle and Chris Benoit, Edge and Rey Mysterio, and Los Guerreros all those years ago. Ravishing Rick Rude announced for WWE Hall of Fame Class of 2017. Ricky Steamboat to induct. This one is long overdue. The real-life Richard Rood was a big star in both the WWF and WCW. Rude is probably most widely remembered for the program he worked with Jake Roberts in the late ’80s, making public advances toward Jake’s then-wife. But he also got some great matches out of the Ultimate Warrior, and was the centerpiece of Paul Heyman’s Dangerous Alliance in WCW. Fans have been calling for this for years, and I don’t doubt it’ll make for a wonderful moment in Orlando. Akira Tozawa def. Ariya Daivari. After what happened with Neville, they wisely kept Austin Aries off commentary for this match. But they also left Byron Saxton off. So for one segment we just had Cole and Graves. A pleasant return to the two-man announce booth, of only for a short time. Sasha Banks def. 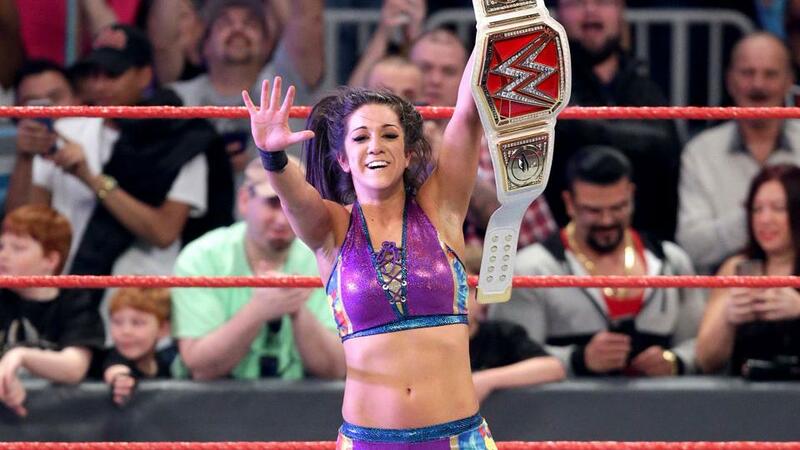 Bayley to make it a Triple-Threat Match for the Raw Women’s Title at Wrestlemania, also involving Charlotte. Slightly disappointed that we may be getting another three-way this year. It feels like they’ve simply tagged Bayley in for Becky Lynch. What’s more, Bayley and Sasha have such great chemistry in the ring, as we saw here. But it is what it is. 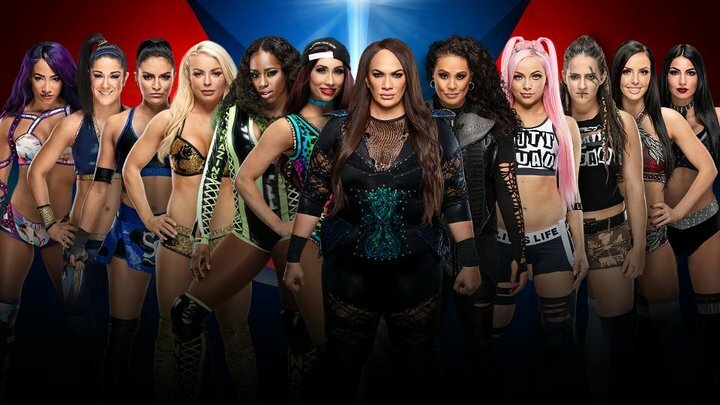 What’s more, it’s certainly not too late for Nia Jax to be added, making it a four-way. 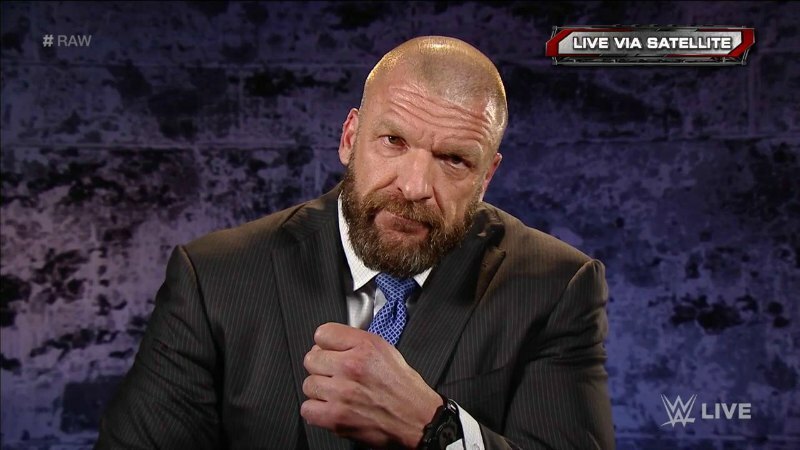 Triple H once again threatens to end Seth Rollins’ WWE career if he shows up at Wrestlemania. I still can’t get over how awesome Hunter’s return promo was a few weeks ago. It’s was the best he’s done in years. I think we took his mic work for granted when he was out there with guys like the Rock and Steve Austin, because they had such big personalities. But he was great then, and he’s great now. A vignette airs for he return of Emma. See you in 17 weeks! 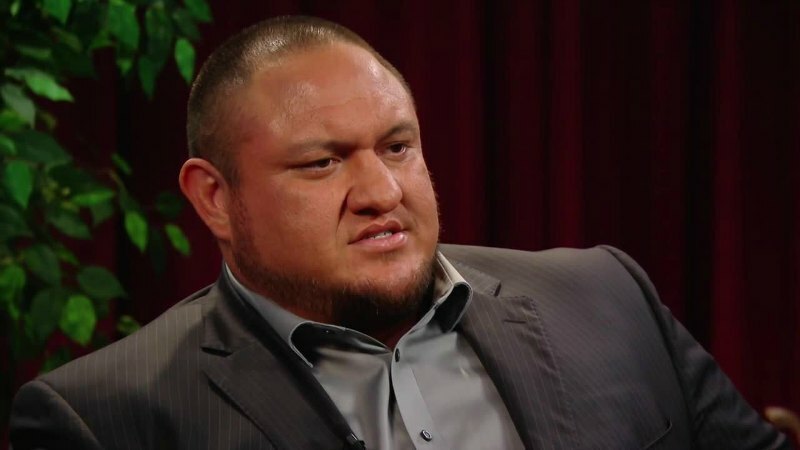 Samoa Joe def. Chris Jericho via count-out. How many years has this one been in the making? Hardly the ending I imagined, but I doubt this is the last time we’ll see these two in the ring together. 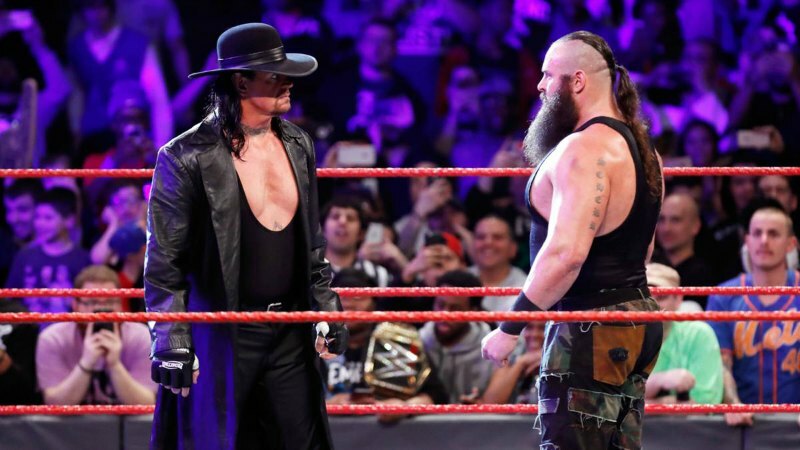 Braun Strowman calls out Roman Reigns, gets the Undertaker instead. Reigns comes out to face the Dead Man and gets a Chokeslam. Not a good couple of days for Strowman. First he loses his first match to Reigns. Then he flat out backs down from the Undertaker. Yuck. As the Chicago crowd reminded us, putting Roman in there with the Undertaker is no way to get him cheered. But let’s not kid ourselves: It’s a good story. The old guard vs. the new guard. It also doesn’t hurt that Reigns has superficial similarities to a young Undertaker. The long hair, the goatee, the tattoos, etc. I have no idea what we’ll get once the bell rings. But the build-up should be really, really good. 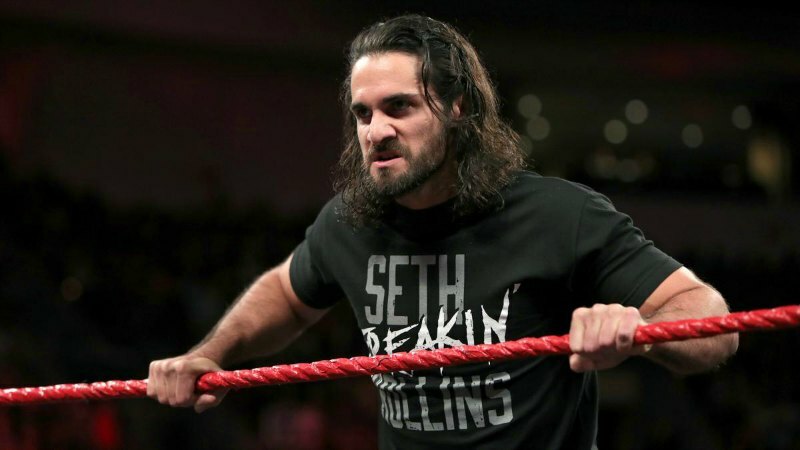 This entry was posted in Wrestling and tagged Austin Aries, Bayley, Bill Goldberg, Bill Goldberg Wrestlemania, Braun Strowman, Brock Lesnar, Brock Lesnar vs. Bill Goldberg, Charlotte Flair, CM Punk, Enzo & Cass, Karl Anderson, Kevin Owens, Luke Gallows, Neville, Paul Heyman, pro wrestling, professional wrestling, Ravishing Rick Rude, Rich Swann, Rob Siebert, Roman Reigns, Sami Zayn, Samoa Joe, Sasha Banks, The New Day, The Shining Stars (WWE), The Undertaker, Wrestlemania, Wrestlemania 33, Wrestlemania XXXIII, WWE, WWE Fastlane, WWE Fastlane 2017, WWE Fastlane results on 03/07/2017 by primaryignition.